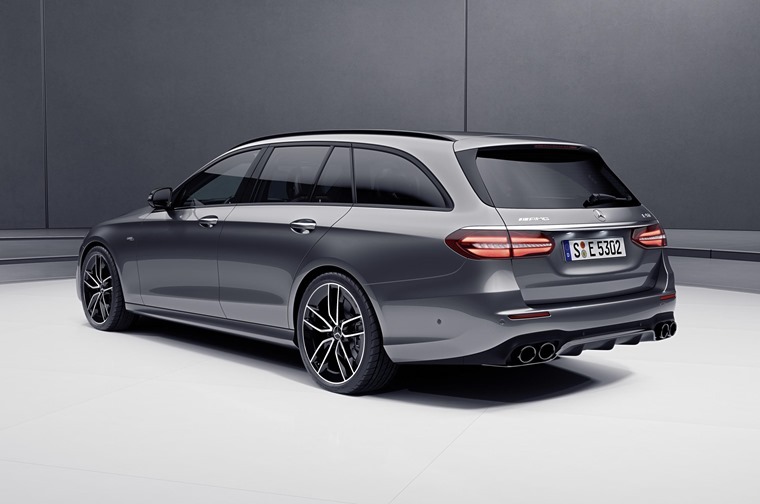 The Mercedes’s AMG division has revealed the all-new E 53 in saloon and estate form – the car that replaces the current E43 in the AMG range. With a top speed of 155mph and a 0-62mph time of 4.5 seconds, it features Mercedes’s new EQ Boost technology that’s designed to enhance performance when necessary while also reducing fuel consumption and emissions. From the outside, the Saloon and Estate look very much like the current car, but tweaks include an AMG bodykit that incorporates quad exhaust pipes and a rear diffuser and 19in AMG-specific alloy wheels. On the inside, all E 53s come kitted out with Mercedes’ latest COMAND infotainment set-up with those large 12.3in screens, Nappa leather upholstery with red stitching, a 360-degree parking camera, wireless charging and Mercedes’ latest steering wheel and driver controls including touchpads to operate the infotainment. Utilising an AMG-tuned version of Mercedes’s new six cylinder 3.0-litre petrol engine, it produces 429bhp and 520Nm of torque. However, that clever new EQ Boost mild-hybrid system, which is capable of delivering an extra 22bhp and 250Nm if called upon. The E 53 is capable of a combined 32.5mpg and emits 200g/km of CO2. An AMG Speedshift TCT 9G transmission comes as standard, and features extremely short shift times, fast response to shift paddle commands, a double-declutching function and multiple downshifts. Optional packages include Premium Plus (£2,595) and Comfort (£395), with the former adding Burmester sound system, keyless entry and start and a panoramic sunroof. The comfort package adds Air Balance and Energising Comfort Control, allowing you to create different interior moods depending on driver preferences. The Driving Assistance Plus package (£1,695) includes Active Blind Spot Assist, Active Braking Assist with cross-traffic function, Active Distance Assist Distronic with Active Steering Assist, Active Speed Limit Assist; Active Lane Keeping Assist; Evasive Steering Assist; Pre-Safe Impulse Side; and Pre-Safe Plus. The assistance packages can now be activated using buttons mounted on the steering wheel. 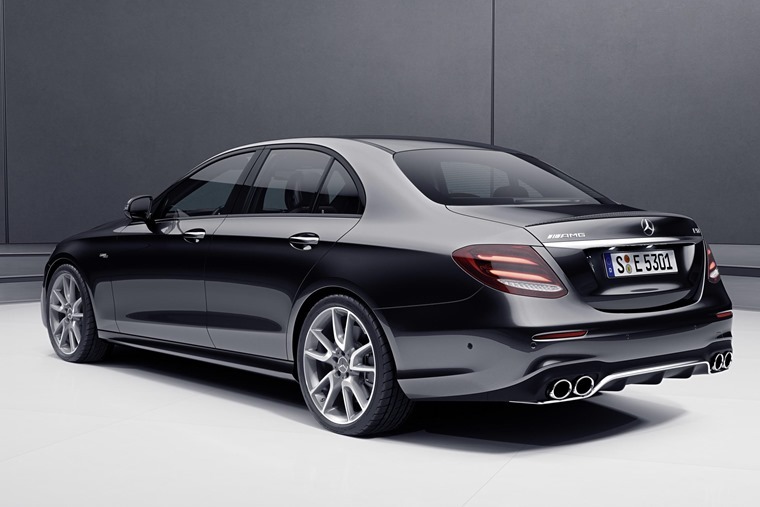 No lease rates are available yet, but the Saloon and Estate get list prices of £61,835 and £63,835 respectively. 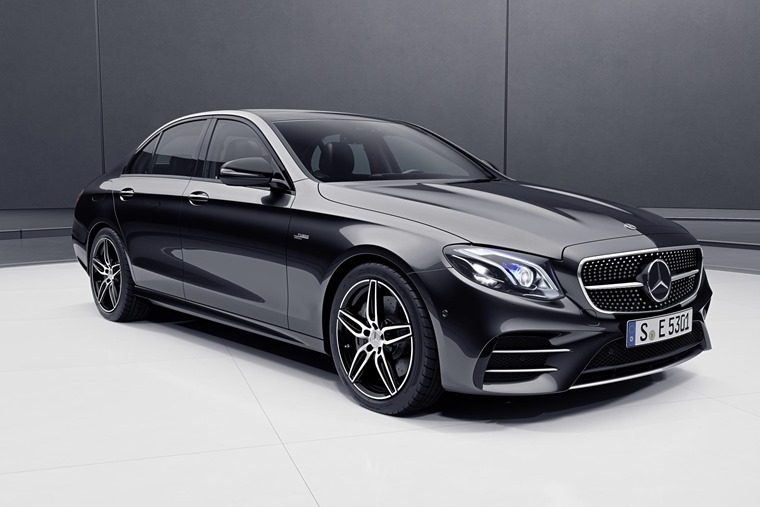 Deliveries are expected to begin in July, but if you can’t wait until then, you can find thousands of deals on the standard E-Class by clicking here.